There is another Italian shoe that has yet to drop: the scale of the insolvency of the banking system in relation to Italy’s debt capacity. Now, I think that it is very wise to cover this up by continuing to accrue interest on bad loans, which delays the need for a bailout. But if the ECB’s current AQR is for real (unlikely, I admit) then the banks are going to need billions in bailouts this year. Either they get bailed out and the debt ratio goes up, or they are not, and the financial system collapses. Dont worry about MP. Money is neutral anyway in the long run. MP was not neutral in the US 1930-33. NGDP collapsed, and mortgage defaults soared. 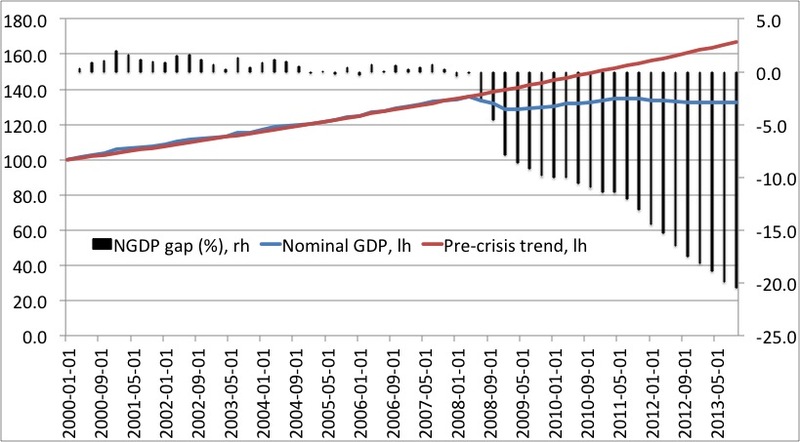 Hence Italy is today back to the NGDP trend where it should have been since 2000. And the excess inflation and too high NGDP has finally created wrong allocations and unemployment. I’m amazed at the ability of the Italian/Spanish/Portuguese/Greek public to suffer. I’ve not heard anyone serious or important suggest the So. European countries dump the euro since 2012. Perhaps the only hope is that a new EZ crisis spooks the US economy too, like in 2011, forcing the US to read the monetary Riot Act again. The Banco Espírito Santo and Banca Monte dei Paschi situations could be a trigger, specific circumstances yes, but also merely the furthest out on the beach as the deflationary tide comes in – just like WAMU, Lehmans etc in 2008. Wake up ECB! Sorry, Italian median wealth is nearly the highest in wealth. The Participation rate is rising. Since then houses prices have risen by 150%. They have risen twice as much as in Germany. Still today, homes in Southern Spain are worth three times more than in Eastern Germany. 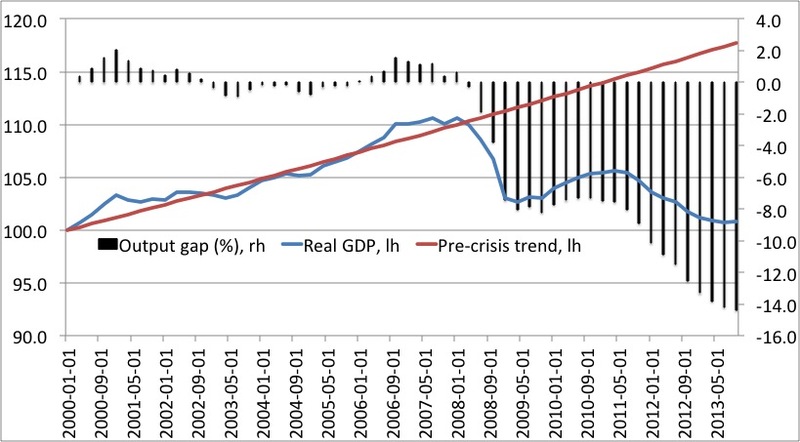 Instead of generating consumption, (hyper) activity and the misleading concept of (N)GDP, Italians and many Spaniards simply saved their money and became richer. Just a pity for the guys who bought between 2005 and 2007. The PIGS nations should withdraw from the ECB and form their own central bank. Devaluing a currency creates cheaper labor in global comparison. But a currency other than the euro provokes higher interest rates and borrowing costs for companies. This is a difficult trade-off. Currently European leaders manage to do both. Peripheral bond yields have strongly fallen, borrowing costs are following already. At the same time they managed to slash labor costs in countries like Greece, Spain and Ireland. This is best of two worlds: Lower borrowing costs and lower labor costs. Exactly what them makes more competitive. George, if you think the failed policies of the past five-six years in the euro “is the best” then must have been reading very odd economic textbooks. 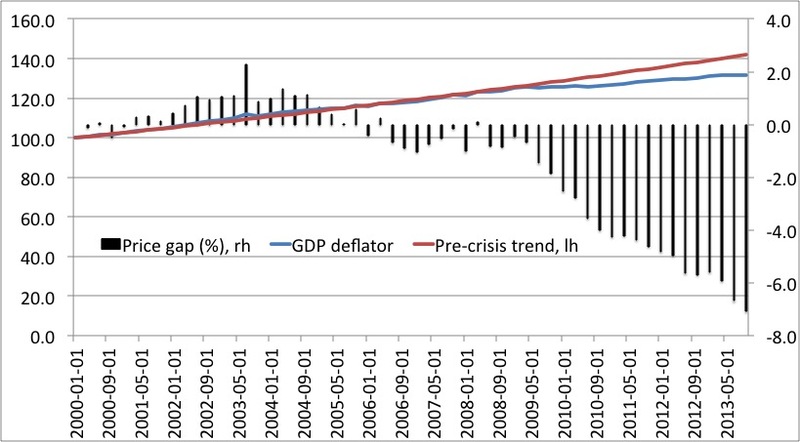 We need massive monetary easing in the euro zone to stop the debt-deflation spiral. If the ECB continues to pursue the policies that you call “the best” then we will not only get renewed sovereign debt crisis, bank crisis, financial distress, but we will also very likely get a sharp rise in political populism and extremism. We should have learned the lesson from the 1930s- Unfortunately the ECB seems to have learned little from history.